First, certain jeepneys and vans rove around the streets with bullhorns strapped to their roofs, blaring music and speeches in support of candidates. I find this hilarious, but I suppose it is effective, or they wouldn’t do it. 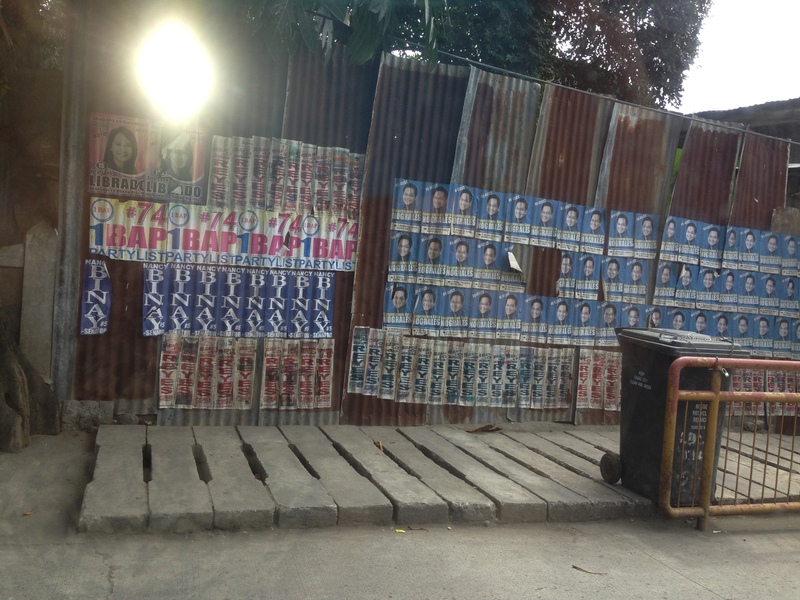 Second, most of the concrete walls along the major streets of the city are papered with campaign advertisements. 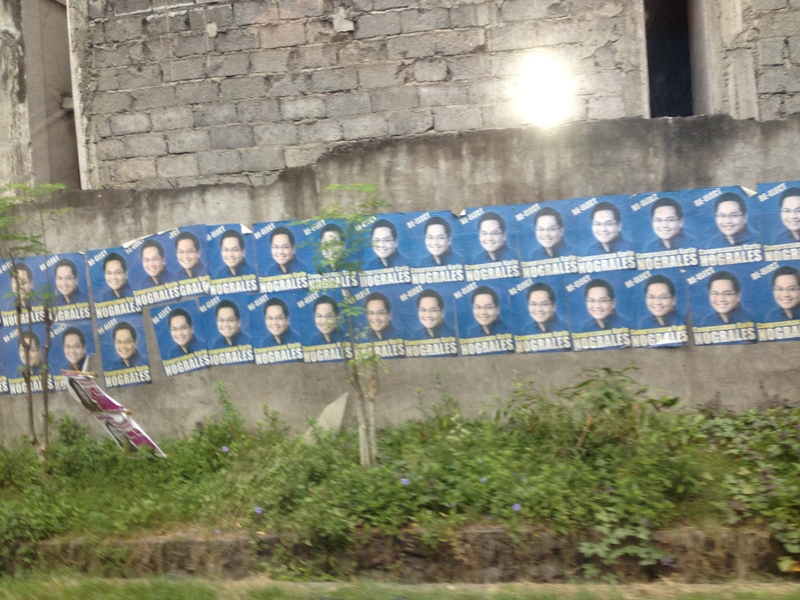 My favorite is the ad for incumbent Congressman Karlo Nograles, whose youthful, bespectacled grin is probably the most frequently encountered likeness on posters around town. pretty well on this wall, too. It was a bit of a wake-up call to hear our pastor here pray that the elections will be peaceful. That is something we have always taken for granted in the States and Canada, but it is a different story here in Mindanao. Pray that the Lord will keep his hand on this beautiful nation, and that He will give them rulers who love righteousness and hate dishonest gain (Ex. 18:21). There is a Christianness about political discourse that one cannot find in the States. That does not mean that such language is always appropriately used, but the very fact that it is used is a tribute to the Christian faith of the Philippines. This entry was posted in Living in Davao, Scenery, Uncategorized.